So I came across this picture via BuzzFeed; originally from a blog on tumblr I believe. 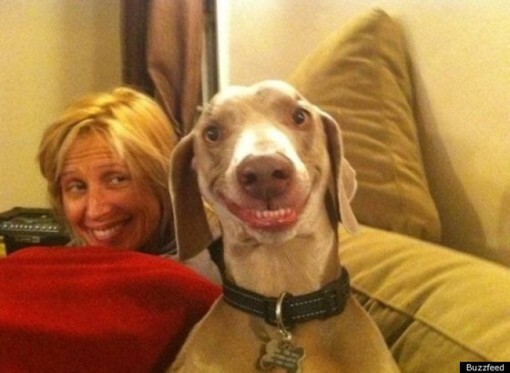 Anyway I have seen it tagged as "The Best Dog Smile Ever". To be honest if you want my opinion forget the "Dog". I think it might just be "The Best Smile Ever".